Make Your Home More Energy-Efficient with a Metal Roof - Sturdy Home Improvement Inc.
Metal roofs have become an increasingly popular roof replacement option over the years, mostly for their reputation of being an energy-saving component for any home. Here are some reasons why our Sturdy Home Improvement team believes the same and suggests metal roofing options for homeowners who want better energy efficiency for their properties. Metal roofs are commonly referred to as cool roofs; although, the definition of a cool roof actually extends to any roofing type that absorbs less heat than standard roofs. Metal has had such a distinction because it is widely known for its ability to reflect heat well and prevent it from permeating throughout the rest of any structure it is placed on. With metal roofing on your home, you can expect less need for air conditioning, for instance and lower energy bills as a result. You can maintain better indoor temperature throughout the year too. Whether changing out your roofing or siding, or you’re simply adding new features to your home, sticking with the most durable options can help save costs everywhere. Choosing durability helps decrease energy requirements in manufacturing materials that only add to landfill waste in the long run. 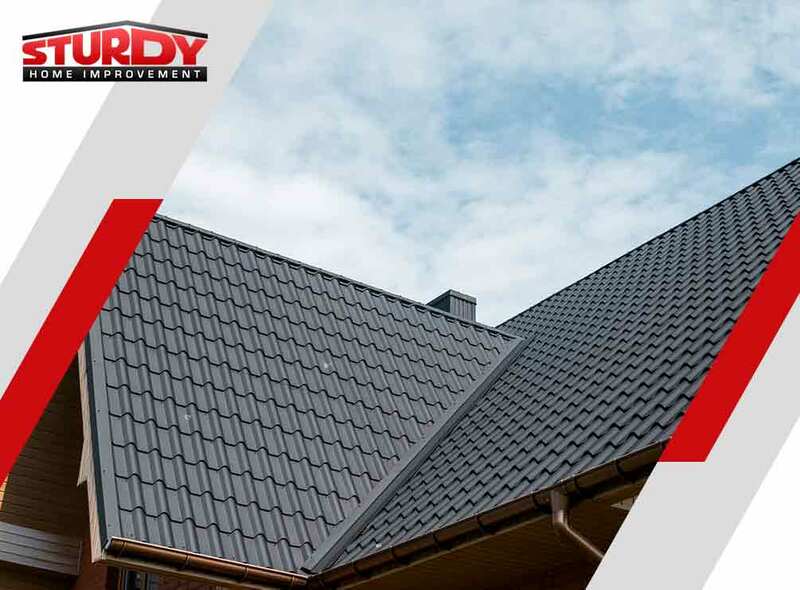 As roofs go, our Sturdy Home Improvement team recommends metal roofing for homeowners who want long-lasting materials which don’t require much to maintain in top condition. The longer your new roof lasts you, the longer you can benefit from it while helping the rest of your community lessen collective energy usage at the same time. The quality of materials you pick as well as the expertise of the contractor you work with comes into play too when saving energy through roof replacement. Be sure to make wise choices in these aspects to ensure that you truly achieve energy efficiency throughout your home in the end. At Sturdy Home Improvement, we are proud to be among the best roofing, siding and home addition contractors you can find. With over 3,000 completed projects under our belt throughout the last 17 years, we know we can help you succeed in having a more energy-efficient home. Give us a call at (508) 948-0128 or (877) 378-8739 (toll-free). We offer free consultations for residents of Hartford, CT.